On this tape, a couple of X Files episodes from Season 3 on Sky One. First, Oubliette. A young girl (played by a pre-Firefly Jewel Staite) is kidnapped by a photographer’s assistant, and a previous kidnapping victim collapses at the same time across town, saying the same words as the kidnapper. 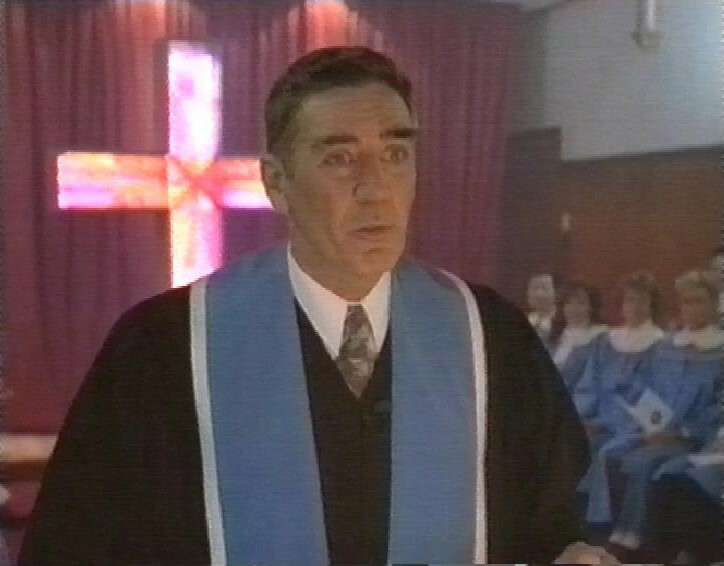 The next episode is Revelations featuring R Lee Ermey as a preacher who gets killed by a strange man. He pretended to bleed from his hands as part of his service, and Mulder says that there’s a serial killer who’s travelling the world killing fake stigmatics. 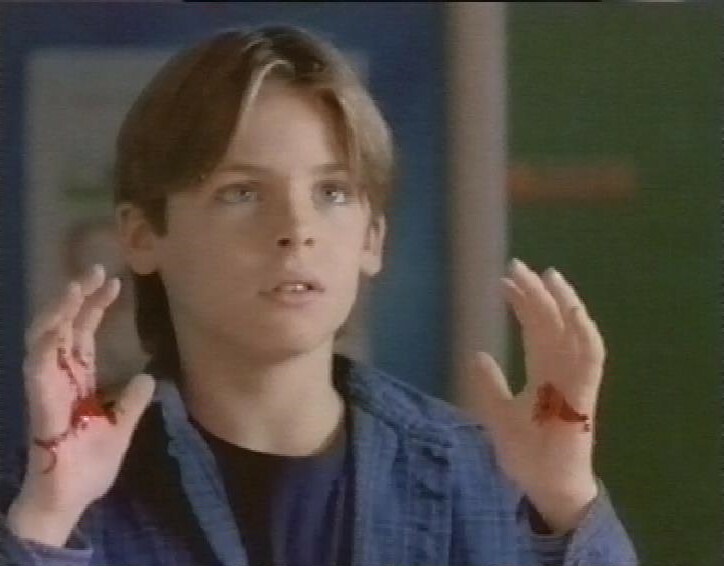 A young boy in town starts bleeding from the hands at school. 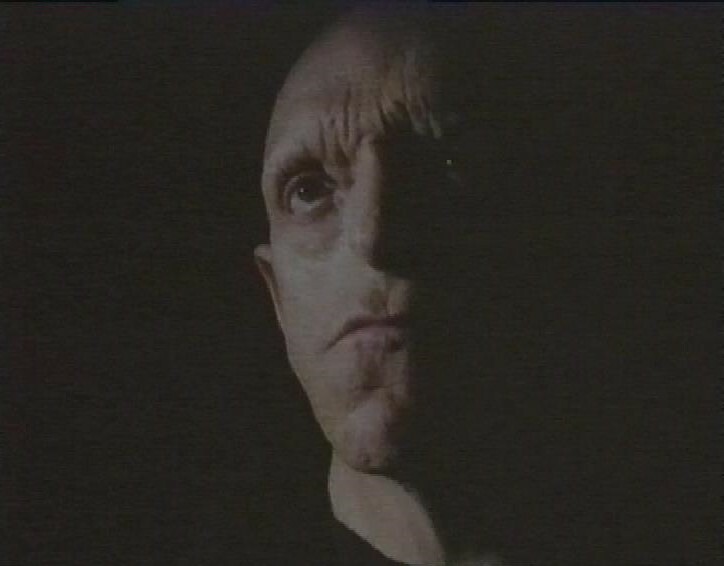 There’s also an appearance by Horror legend Michael Berryman. He says he’s there to protect the boy from the killer. When he dies, Scully suddenly becomes the believer, as she thinks he’s not decomposing – an ‘incorruptible’ body. Scully thinks she’s now the one protecting the little boy. 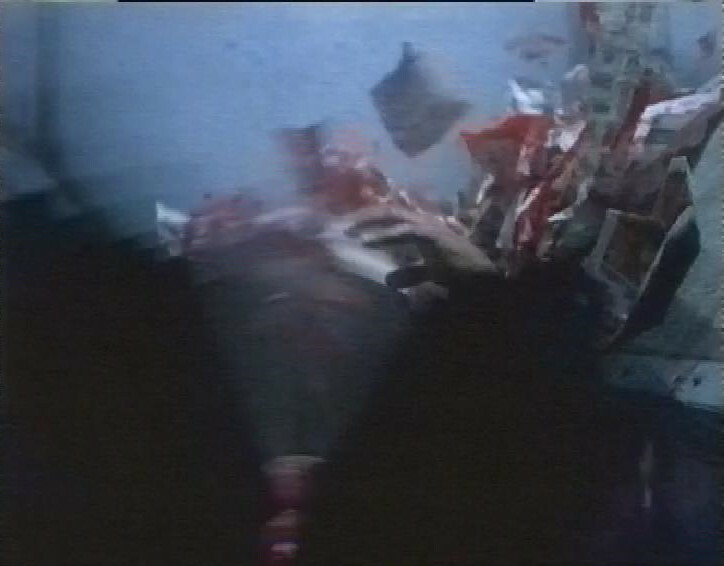 There’s rather a gruesome ending, as the killer falls into a paper mill. After this, recording continues, with most of an episode of Star Trek The Next Generation – Parallels. Quite a fun one, I think, but it’s not all here, so it doesn’t really count. The tape ends before the episode does.